When did you first realize your interest in acting and directing? I don’t think there was a moment in time when I realized I was interested in acting and directing; it was always something that I was drawn to. I grew up watching movies I would always analyze and think about what I was watching and what was going on. My interest in movies and music as a child led me to get involved with the arts when I was in high school. I first tried out acting while in high school where I took classes in theatre and acted in productions. Also, I was very involved with music so it was at school where I knew that I wanted to do this forever. How did you kick off your career? I became involved in theatre and music during high school but I really developed my skills and kicked off my career in college. At University, I knew I wanted to continue my interests in acting but I also knew that there would be difficulties I would face as a turbaned-Sikh in a limited industry, so I decided to double major in both theatre and business. The University’s theatre department was a great acting school that gave real life experience of acting on stage and as a director. It was in these years that I was able to learn so much about the art of acting and directing and get experience doing it all. What types of plays and films have you directed and why? My tendency is to go towards ideas that are more serious or dramatic. For me personally, drama is much more challenging to direct and produce than a comedy. With a drama, the director must convince his audience of his actors’ feelings and get the audience to feel the same emotions. Whereas with a comedy, I believe a lot more depends on the ability of the actors and writers than the director to amuse the audience and make them laugh. Another reason is because I think of myself as a comedian, which is why I like to challenge myself by doing dramas because they are harder for me. But the main reason I like drama is because I really enjoy discovering different ways of interpreting a dramatic piece and making it my own unique production. Yes, of course. As in any other industry, Sikhs have and do face obstacles in the entertainment industry as well, but that doesnt mean they cannot be overcome. 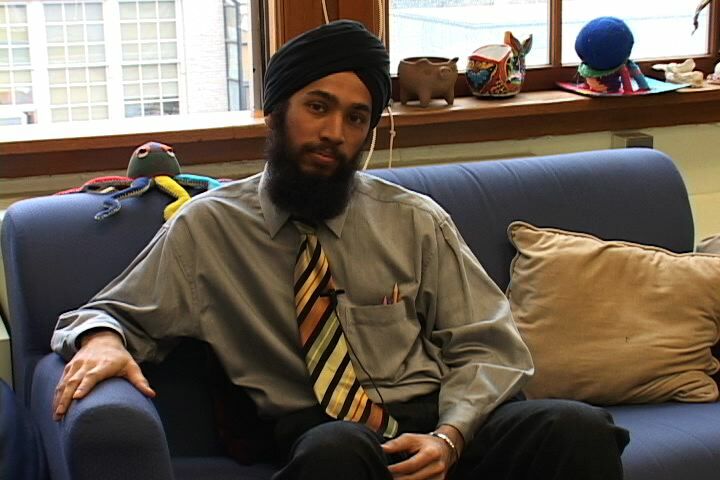 Another problem facing Sikhs is the lack of familiarity amongst Americans about Sikhism and the Sikh people. 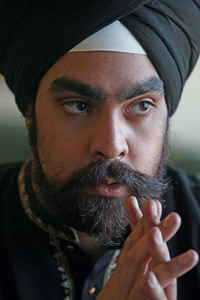 That means there is a lot of unfamiliarity and hesitation to create acting roles for Sikhs. There are not enough writers, directors, or producers that are Sikhs or that know about Sikhs and it is up to everyone to change that. It is up to us to go into every different profession in the entertainment industry to familiarize America with the Sikh people. Most importantly, Get Involved with Arts. Participate in Theater, Film, Music, Painting, Choir, Band, and Orchestra. 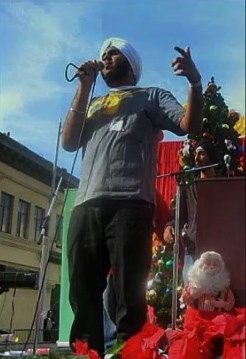 Sikhs must get involved with the arts because that is one of our strongest gifts given to us. Singing and music education is something that is incorporated into our sacred texts and our religion, yet we don’t use that when going to school. Our education system gives us the opportunity for education in Arts, and we should take advantage of it. I had the privilege to be taught in both Music and Theatre and with that education you learn so many ways of expressing yourself. What I see that is happening to this generation is that everyone is just following each other with what they do, what they act like and who the eventually become. Just because everyone is listening to the same music doesn’t mean that is what you have like. You might discover that you have to create your own type of music because that is what pleases you. 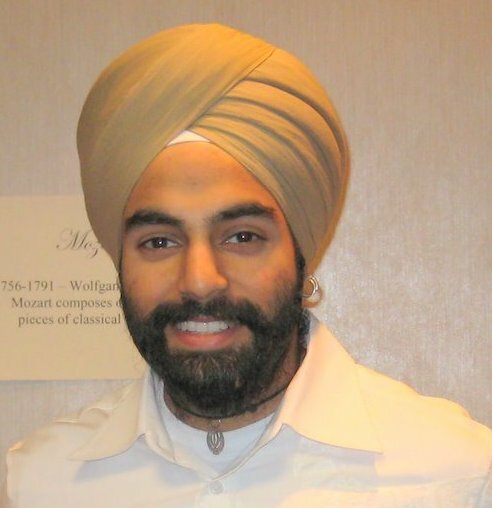 Always remember, the Sikh religion is based on having your own identity because there is a uniqueness inside all of us. We need to find our own identity and our own foot print in the world today.